On behalf of the HHCA Booster Club, we would like to thank all parents for their strong support. We look forward to continuing to provide our children and school with state of the art sporting equipment. All of your generous donations in the past have allowed the Booster Club the capacity to expand the press box for soccer and football games, replace the antiquated scoreboards in the gym, and provide new uniforms for various sporting teams. Future enhancements are being prioritized and evaluated as the needs present themselves. Your continued assistance is needed! Volunteers would greatly be appreciated to assist with concessions during all sporting events, working on future facility enhancements, or just lending a hand where needed. For new parents, joining the Booster Club is an excellent way to be involved with your child’s activities or meet other parents and families. For the parents who have been around and have seen what the Booster Club has accomplished, your continued participation will allow us to expand our role and further enhance the sporting facilities at Hilton Head Christian Academy. If you have a special talent or own a company that we can use to assist us with our projects, please let us know. Your support will encourage our children to strive to be outstanding athletes. 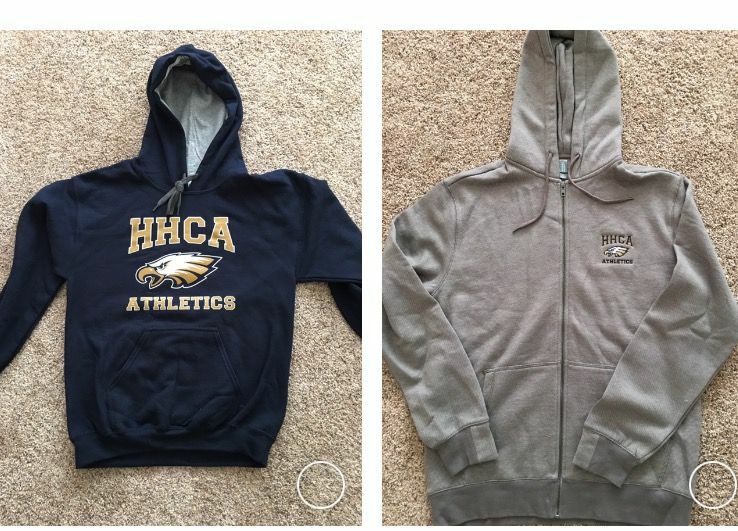 With your help, the HHCA Booster Club will continue to provide our athletic program with equipment, personnel and capital improvement items to assemble a sports program that is second to none.